Kevin started his career in 1987 advising individuals and small businesses at one of the large national investment firms. At Lincoln Financial Advisors since 1999, Kevin works with teams of specialists to create customized approaches to retirement planning, estate and business owner planning and wealth management strategies. He believes in providing his clients with clarity and solutions that help meet their needs. Each financial plan is systematically reviewed to ensure it remains consistent with the client’s long-term goals and objectives, and is aligned with our ever changing world. Each client receives confidential, highly customized, personal service. Kevin and his staff utilize sophisticated software to review portfolios to measure returns and the risk taken toward achieving these returns. He specializes in developing portfolios that place an importance on long-term total return potential by managing risk. Kevin’s client reviews include the reviewing of life insurance and long term care insurance to assist clients in protecting their goals and portfolios from unexpected health issues. 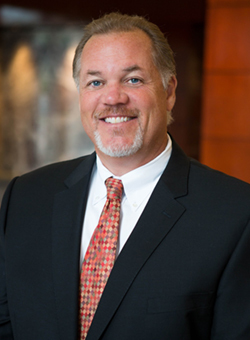 Chuck Dierks has been with Lincoln Financial Advisors/ Sagemark Consulting since 1998 and specializes in helping successful individuals and business owners build and preserve the wealth they have managed to accumulate during their lifetimes. By designing and implementing a financial plan that is based on their objectives and in accordance with present tax laws, the benefit of Chuck's work can have a significant impact on the lives of his clients and their families. Chuck graduated from Kansas State University in Manhattan, Kansas with a Bachelor of Science in Business and currently lives in Olathe, Kansas. Prior to joining Lincoln Financial Advisors Corp., he gained extensive business experience in the employee benefits and insurance arena as an advisor with Midwest Benefits Group, a local Kansas City firm as well as Owner/Operator of farming operations in Leoti, Kansas. Chuck is currently a member of Sagemark Consulting Private Wealth Services, an elite group within Lincoln Financial Advisors Corp. that specializes in working with high net worth families and business owners. He is also a committed supporter of local youth sports and church activities. Together with the members of his staff, Chuck has the expertise necessary to help solve complex financial problems, the resources to keep you informed as worldwide economic forces change, and the commitment to provide advice that makes a difference. Chuck’s practice is supported by a national team of specialists whose credentials include CPA’s*, JD’s*, and CFA’s. Charlotte is a graduate of the University of Missouri at Kansas City. She has earned a CERTIFIED FINANCIAL PLANNER™ practitioner certification from the College for Financial Planning, Denver, Colorado and has been a Registered Representative with CIGNA Financial Advisors and currently Lincoln Financial Advisors since 1987. She is a member of the Financial Planning Association and has served on the board of Directors of the Heart of America ICFP Society. She is also a member of Lincoln's Chairman's Council and President's Cabinet and has been named to Marquis Who's Who in Finance and Industry. Charlotte has been featured in The Kansas City Star as a financial makeover specialist and has participated in KMBC TV's "Net Worth" call in program. As a private wealth advisor, Bill manages client assets by developing portfolios that place importance on both long-term total return and risk management. In addition, he develops income strategies for retirees while providing estate planning advice for clients as part of a holistic approach to financial planning. After graduating from the University of Kansas in 1995, Bill began working as a congressional aide to Kansas Congresswoman Jan Meyers and later her successor, Congressman Vince Snowbarger. 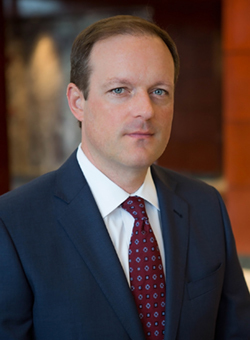 He began his career as a financial advisor in Kansas City with PaineWebber in 1998, worked for a period at Mellon Bank’s Dreyfus mutual fund division in their New York City headquarters, and has been with Lincoln Financial Advisors since 2006. Bill is a life-long resident of the Kansas City area and resides in Overland Park, Kansas with his wife and children. John's career started in October of 1990 with Lincoln Financial Advisors solving the specialized financial planning problems of his affluent clientele. The focus of John's practice is in retirement planning working with individuals between the ages of 45-70 who face the responsibilities of investing / caring for their retirement assets and who are concerned with the effects of taxation and inflation on the growth of retirement capital. Together with the members of his staff, he has the expertise necessary to help solve complex financial problems, the resources to keep his clients informed as worldwide economic forces change and the commitment to provide advice that makes a difference. John attended Rockhurst University where he received a BA in business communication. 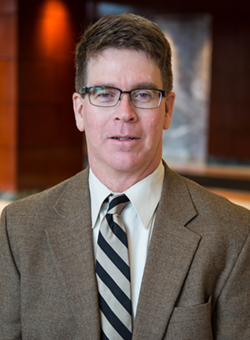 Tim joined Lincoln Financial Advisors/Sagemark Consulting in 1987 as a financial planner. He is a licensed insurance agent with Lincoln National Life Insurance Company (Lincoln Life) and holds appointments with several other companies. Tim earned his BS in Business Administration from Old Dominion University at Norfolk, VA.
Tim grew up in Northern Virginia but has called Kansas City area his home for the last 30 years. He currently lives in Overland Park. Dennis joined Henks Financial Group of Lee's Summit, MO in September of 2004. Dennis' cousin, William Richard "Rick" Henks CFP®, CLU, ChFC, LUTCF, is the primary owner of the firm and has been providing financial services for 30 years. Before joining Henks Financial Group, Dennis spent 15 years in agriculture business. He was responsible for 70 employees and a multi-million dollar budget. He also worked closely with business owners and veterinarians providing financial analysis to help them sustain and/or grow their business. Dennis grew up on a diversified family farm near Carrollton, MO where his parents and brother are still actively involved in both crop and livestock farming. He received his bachelor degree from the University of Missouri and earned a MBA from Edgewood College in Madison, WI. He lives in Blue Springs, MO with his wife of 14 years, Machelle, and their three children - Gabe, Seth and Nate. Dennis specializes in helping small business owners and other successful professionals with tax reduction strategies, enhancing their investment portfolio's potential, plan for retirement and efficiently transfer their assets to their children, grandchildren and other chosen heirs. Together with the other members of the firm, Dennis has the expertise necessary to help solve complex financial problems, the resources to keep you informed as worldwide economic forces change, and the commitment to provide advice that makes a difference. Henks Financial Group is not an affiliate of Lincoln Fnancial Advisor Corp.
Chris Nelson designs and implements financial plans based on client objectives. He specializes in helping successful individuals build and preserve the assets they have accumulated during their lifetimes. The benefits of working with Chris and his team can be significant in helping to create wealth and reduce estate taxes. He works in conjunction with his father, Jeff, to bring their clients the experienced financial planning they need today, as well as the longevity and continuity they desire in the future. Chris is one of a select handful of members in Lincoln Financial Advisors’ Gen 2 program. Gen 2 is Lincoln’s formal advisor succession program, enabling the next generation of financial advisors to serve their clients. In fact, Chris’s grandfather recruited Jeff into the business, which makes Chris a 3rd generation planner. He is Series 7 Securities registered and life and health insurance licensed. Chris graduated from the University of Kansas in Lawrence, Kansas and currently lives in Kansas City, MO. Outside of work he remains a proud member of the scouting community as an Eagle Scout. If you do not find him on a local golf course or at a restaurant trivia night with friends, he is likely cheering on the Jayhawks as he was the university’s mascot, Big Jay, during his time in school. Jeff Nelson has been with Lincoln Financial Advisors/ Sagemark Consulting since 1989 and specializes in helping successful individuals build and preserve the wealth they have managed to accumulate during their lifetimes. By designing and implementing a financial plan that is based on their objectives and in accordance with present tax laws, the benefit of Jeff's work can have a significant impact on the lives of his clients and their families. Jeff graduated from Kansas State University in Manhattan, Kansas with a Bachelor of Science in Business Marketing and currently lives in Lenexa, Kansas. 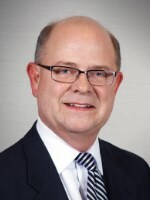 Prior to his 26 years with Sagemark Consulting, he gained extensive business experience as an Officer of a Kansas bank, as well as a General Manager of a closely-held corporation. 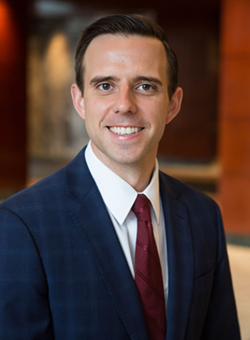 Jeff is a member of the Estate Planning Society of Kansas City, the Financial Planning Association, and Sagemark Consulting Private Wealth Services, an elite group that specializes in working with high net worth families. He is a frequent speaker at local and national meetings for financial planners and has been quoted in various publications. Jeff is also a committed supporter of the Leukemia & Lymphoma Society. Together with the members of his staff, Jeff has the expertise necessary to help solve complex financial problems, the resources to keep you informed as worldwide economic forces change, and the commitment to provide advice that makes a difference. Jeff's practice is supported by a national team of specialists whose credentials include CPA's*, JD's*, and CFA's.